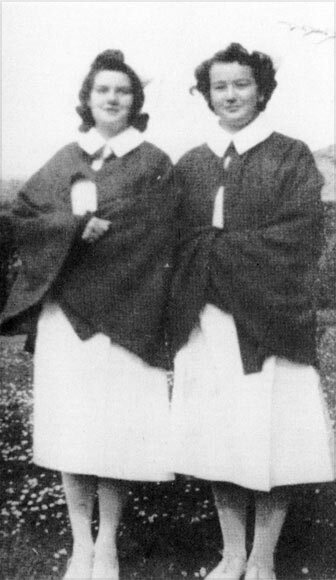 In 1941 the newly married Sonja Nathan started nursing training in Wellington and befriended Con Thomson (on the right in this 1944 photograph). They both worked at the Ewart Hospital, caring for tuberculosis patients. Soon after giving birth to her daughter Penny in 1944, Sonja herself was diagnosed with tuberculosis and spent the next few years in hospitals and sanatoriums.